In June 2016, the IFoA signed a Memorandum of Understanding with the Insurance Asset Management Association of China (IAMAC) becoming its second strategic partner outside China. IAMAC established in September 2014, is a national self-regulatory organization of Chinese insurance asset management industry, under the supervision by China Insurance Regulatory Commission. 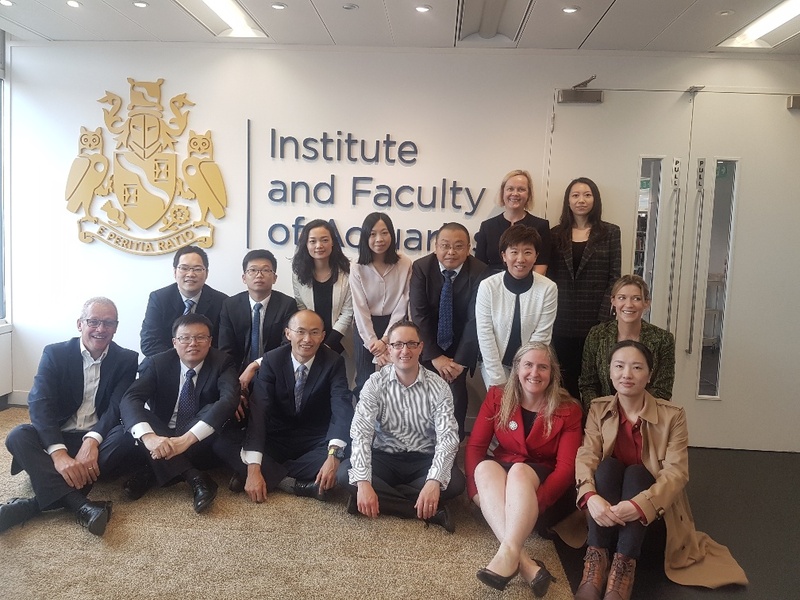 The Pensions Board welcomed this delegation over a working lunch, as they were keen to discuss the Pensions environment within the UK, as they would like to take the Chinese Pension market to the next level. This is the first time such a meeting has taken place at the IFoA.